Although this place is a cremation ground of the Sohra Syiemship, yet it is one of the attractions of Sohra region. The reason behind this is the practice of expensive and intricate ceremonies that are associated with the cremation of the dead Syiem(chief). The body of the Syiem is normally kept for years together, if customary formalities are not performed by the Syiem-elect. 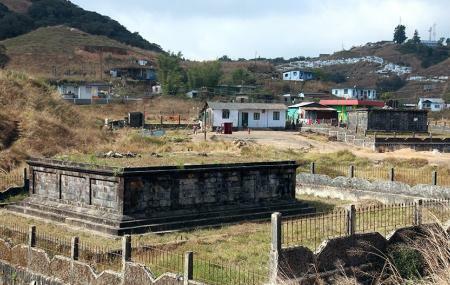 This cremation ground is situated by the side of the Pomsohmen stream. How popular is Ka Kper Syiem Sohra? People normally club together Eco Park and Nohsngithiang Falls while planning their visit to Ka Kper Syiem Sohra.